A new pop-up shop has appeared in iconic Carnaby Street as part of a campaign aimed at helping to save endangered Asian lions, like Heidi, pictured above. The initiative, supported by ZSL London Zoo and Carnaby, aims to help raise £5.7 million in funds for the Zoological Society of London’s Lions400 campaign through the sale of specially designed products. There are only some 400 Asian lions left in the wild, living in the isolated Gir Forest in Western Gujarat, India, and vulnerable to threats including disease, disaster, poaching and a growing human population. The funds raised in the campaign will be used to build a state-of-the-art lion breeding centre and visitor experience at the zoo – where about a million people a year come into contact with the Asian lions including Heidi – as well as being used to extend conservation work in the field. 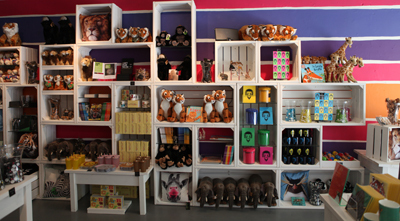 Among the items for sale in the shop at 15 Carnaby Street (pictured below) are T-shirts, bone china pieces, notebooks and badges created by fashion designer Elizabeth Emanuel and based on her lion sketch drawings as well as animal print notebooks and cards created by pop artist Rose Hill. As well as selling products, the shop – which is only open for six weeks – is also hosting a series of free events. 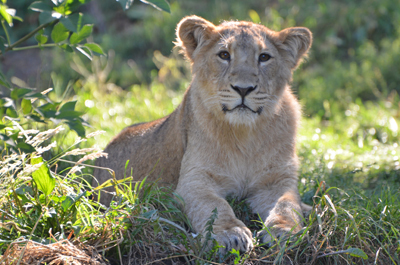 On Thursday, 19th June, Phd student Simon Dures will talk about African lions and their genetics at 1pm, 1,30pm, 6pm and 6.30pm. On 3rd July, Joanna Barker, the UK and Europe Conservation Programme coordinator will talking about marine mammal conservation in the Thames Estuary at similar times and, on 17th July, Nisha Owen, EDGE Conservation Biologist will talk about EDGE (Evolutionary Distinct and Globally Endangered) species. For more, on the campaign, see www.zsl.org/support-us/lions400. For more on Carnaby Street, see www.carnaby.co.uk.